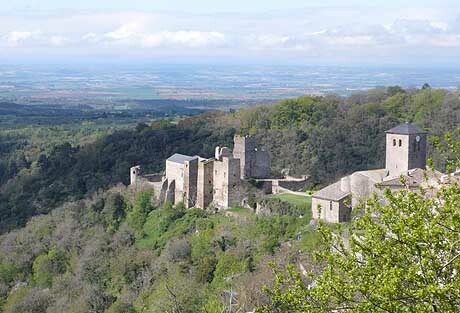 Saissac is mentioned in a legal document (an Acte) from the Abbey of Montolieu in 958, and again in a text of 960. The village is typical of the Black Mountains and is built between the ravines of the rivers Aiguebelle and Vernassonne, just above their confluence. 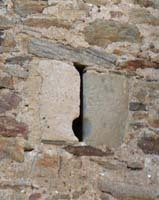 Things to see in the village include the porte d'Autan, a lavoire built in granite, a second covered lavoire and a fine echauguette. 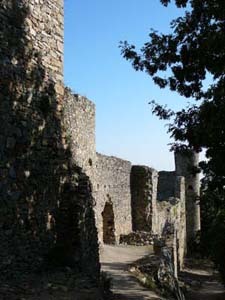 Vestiges of the city walls (enceinte) are still visible around the ancient village. 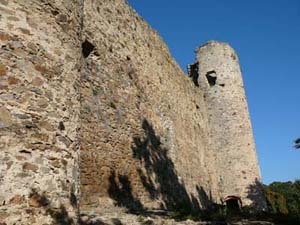 These walls date from the Fourteenth century, the same period that the castle of Saissac was restored. 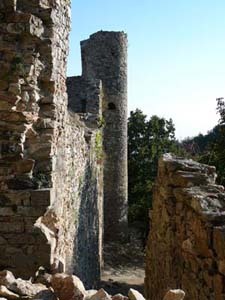 To the north of the old village are two towers which would have been built into the city walls. 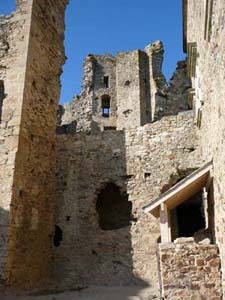 The one to the west has a rectangular plan and is built in large dressed stone blocks. 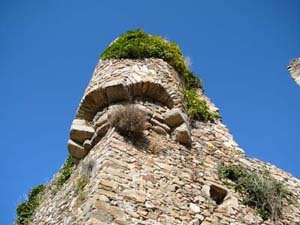 On three sides it has impressive encorbellements supporting Machicolations (machicoulis). 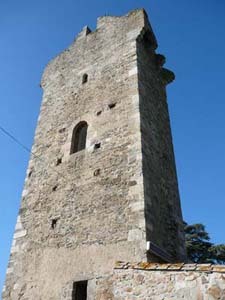 The tower to the east is of similar construction but of square plan. 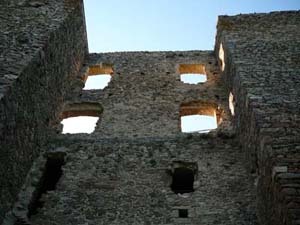 The structures high on the north side of the eastern face are not Machicolations but latrines. 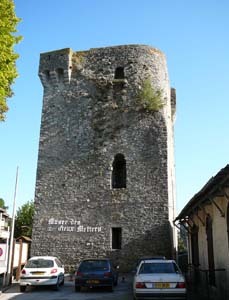 This tower, shown here on the right) is now the Musée des Vieux Métiers (Museum of of Old Trades). 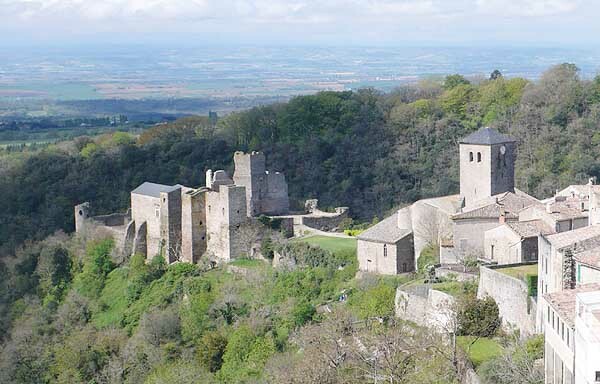 In the Middle Ages the village is thought to have had three entry gates: called Cers, Autan and Vairière. 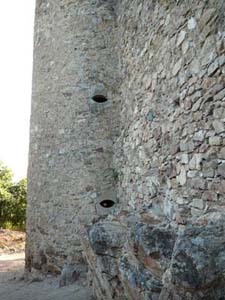 The area between the two towers described above is called the "New Gate" (porte neuve). There is no longer a gate here, but the name suggests that there once was, possibly built in the late Middle Ages. Of all of the gates at Saissac, only the porte d'Autan remains. 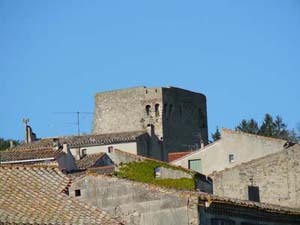 It stands on the east side and is also known as the porte de Montolieu - the next significant village in that direction. Above it are three coats of arms, the top-most of which is easily recognisable as the cross of Toulouse. 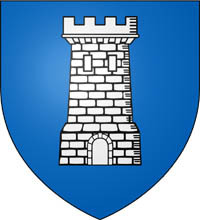 The others are thought to be those of Thury and of the village of Saissac. 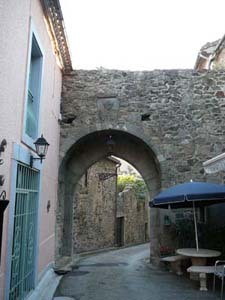 The gate also probably dates from the Fourteenth century. 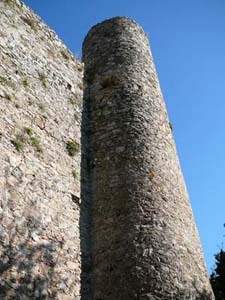 The walls were once defended by a series of towers of which one, la tour Rossignole, still stands. 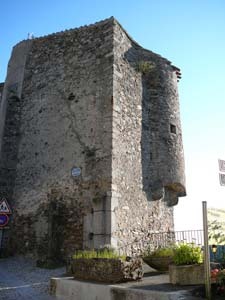 Two echauguettes dating from the Wars of Religion defended the western walls (near to the old porte de Cers, and opposite the present school). 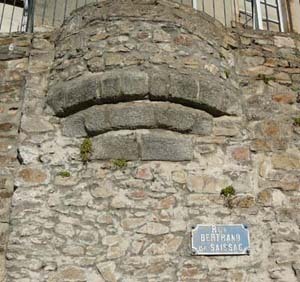 The name of this gate is presumably taken from the name of a west wind that blows in the Languedoc, also known as Cers. 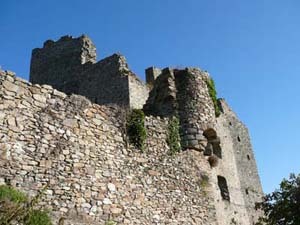 The castle of Saissac was bequeathed by the bishop of Toulouse to the Count of Carcassonne. 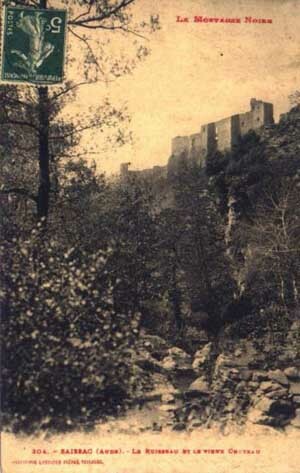 In the 11th century, the castle was pledged to powerful vassals in the country, a cadet branch of the of the House of Foix. 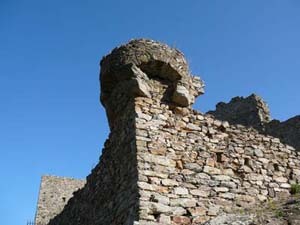 There are vestiges of a castrum under the current castle, probably dating from the 11th century, though their origin could go back to Visigothic times. 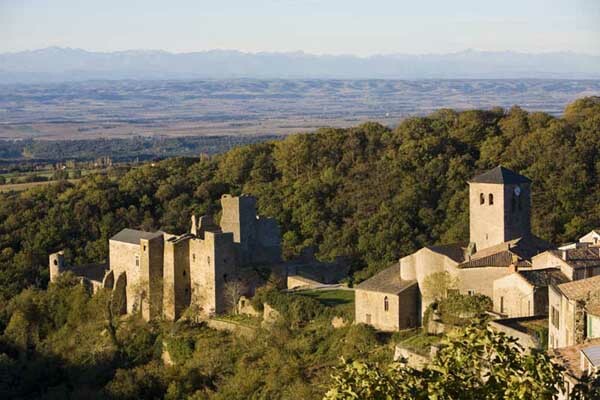 In the late twelfth century the Lord of Saissac, Bertrand de Saissac, was the tutor (guardian) of the infant Viscount of Carcassonne, Raymond-Roger Trencavel. Raymond-Roger was also Viscount of Béziers, Albi and the Razes. 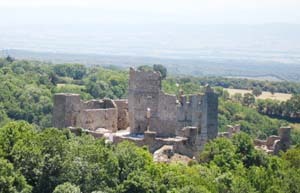 Bertrand was a known Cathar sympathiser. 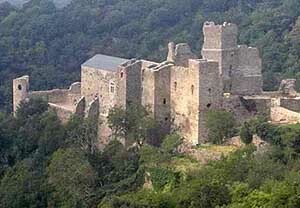 At the time of the Cathar Wars (or Albigensian Crusade), Bernard was still Lord of Saissac. The Saissacs, like the Trencavels, were stripped of their lands and titles. 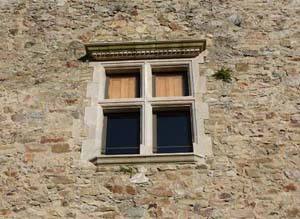 Bouchard de Marly, one of Simon de Montfort's lieutenants, ordered the seizing of the castle and its goods. 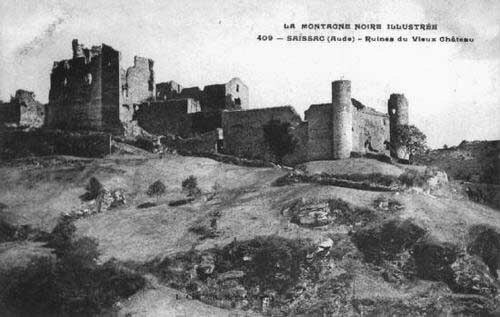 Later, after 1234, the castle passed to Lambert de Thury, another lieutenant of de Montfort. 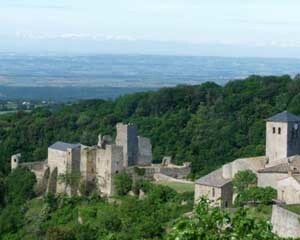 The siegneurie was split into many parts, some of which were restored by Louis IX to the dispossessed faidit lords of Saissac. 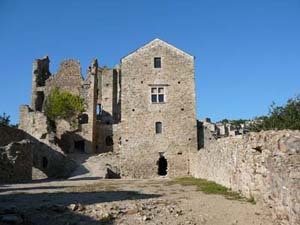 In 1325 the castle became the inheritance of the family of de Lévis, new French lords of Mirepoix. 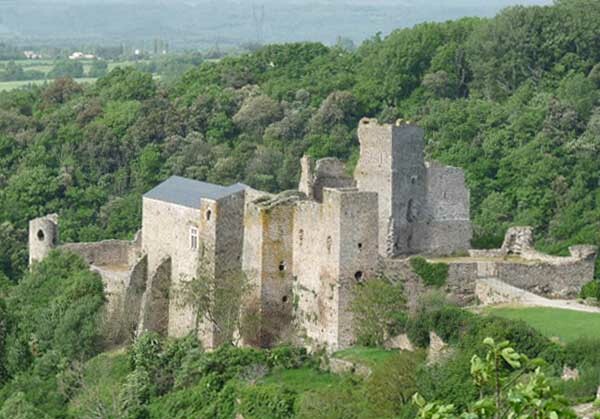 From 1331 to 1412, it passed to the family of Isle-Jourdain. 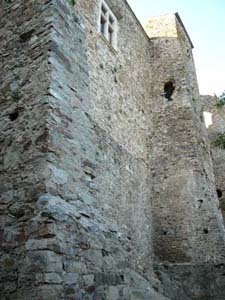 In the 15th century, the barony was held by the family of Caraman. 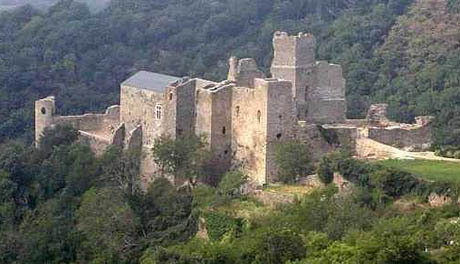 The castle changed hands repeatedly until 1565, passing through the hands of Bernuy and house of Clermont-Lodève in 1565. 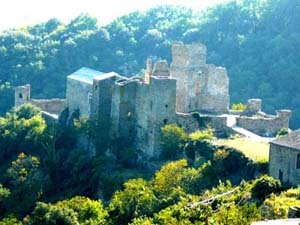 In 1568 and again in 1580, during the Wars of Religion, Protestant troops destroyed the village but were unable to take the castle. Saissac became a Marquisate in 1604 under Henri IV. 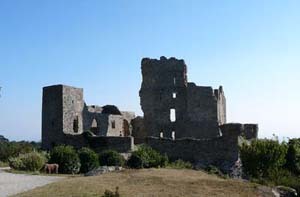 From 1715, the castle was held by the Luynes, who did not live there. 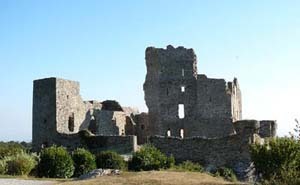 After the French Revolution, the castle fell in ruins, after being repeatedly looted by treasure hunters in 1862. In 1979, during some construction work in the commune of Saissac, a treasure trove of 2000 pennies (deniers) dated from the period 1250-1270 were discovered. 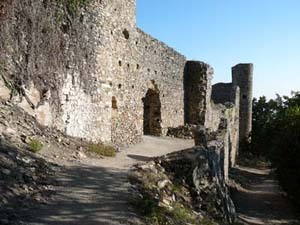 Since 1995 the castle has been in the possession of the municipality, which began a programme of restoration in order to make the castle available to visitors. 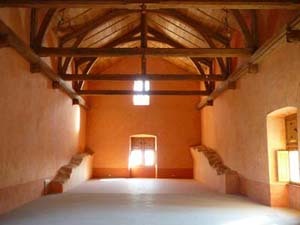 As of 2007, two rooms of the main building (the Aldonce residence, constructed in the 16th century) have been rebuilt in the Renaissance style. 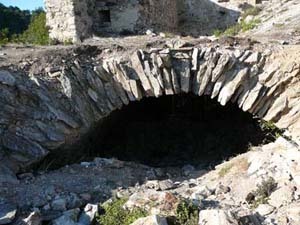 Cellars under the building have also been made accessible. 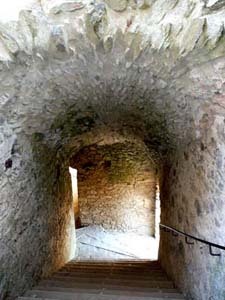 This photograph of a medieval gateway (taken looking vertically upwards) shows where the portcullis would run - and also a meutriere (murder hole to defend it. 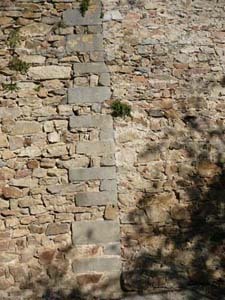 Remnants of another echauguette, this one on a flat wall rather than a corner. The base is rather more sophisticated than on the other echaugettes here. 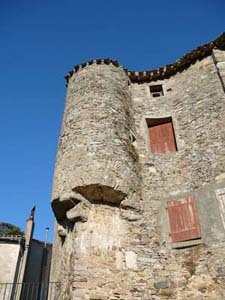 This building, in the town oft Saissac, has an impressive echaugette similar in design to those on the castle. 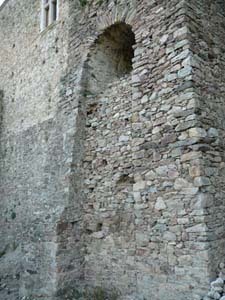 The nearest point of the walls also shows evidence that there was another town gate here - you can see where the arch sprang and also a groove for the portcullis and gonds (pintels) for the wooden gate. 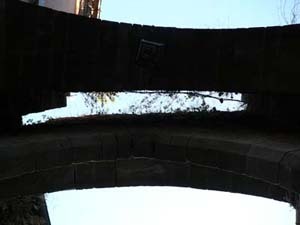 A filled in arched butress? Unlikely. 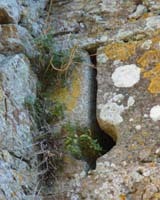 Or a large postern gate? Equally unlikely. Three coats of arms. The largest one, above the other two, is the Cross of Toulouse, the arms of the ancient Counts of Toulouse, also used by the family of de l'Isle-Jourdain, sometimes Lords of Saissac.